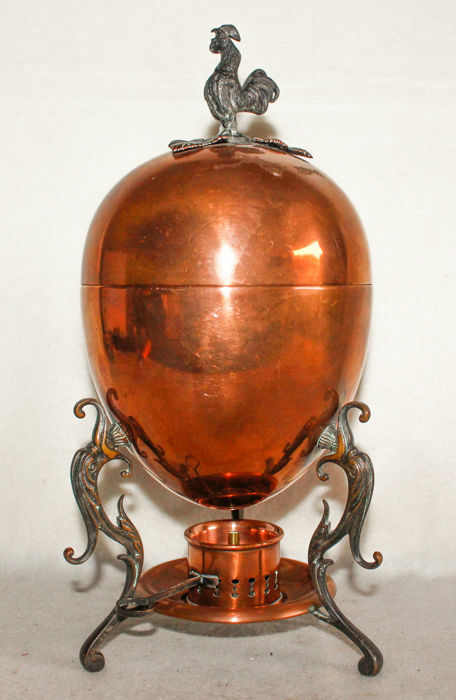 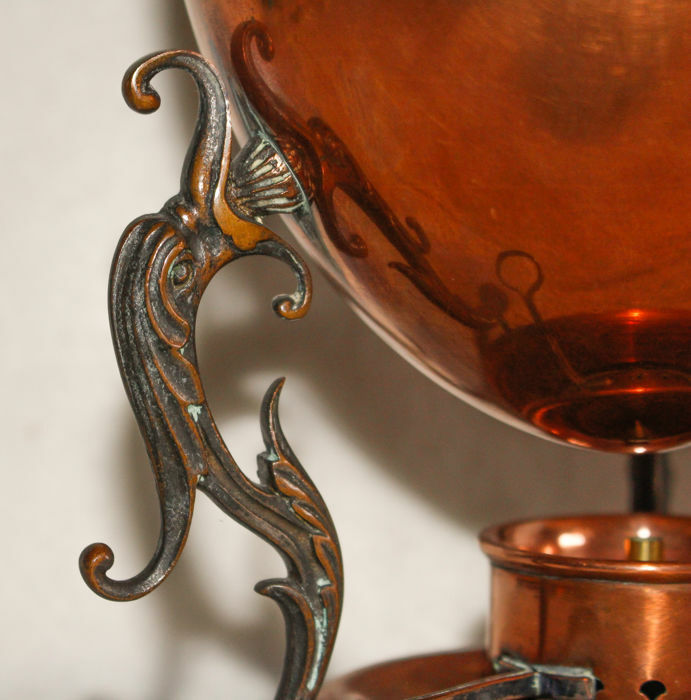 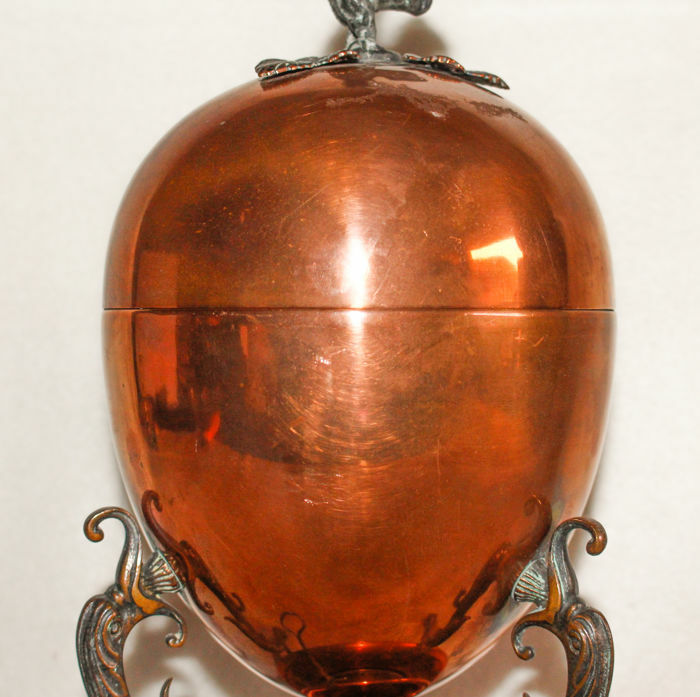 Copper egg-shaped mantle with bronze head as button to open. 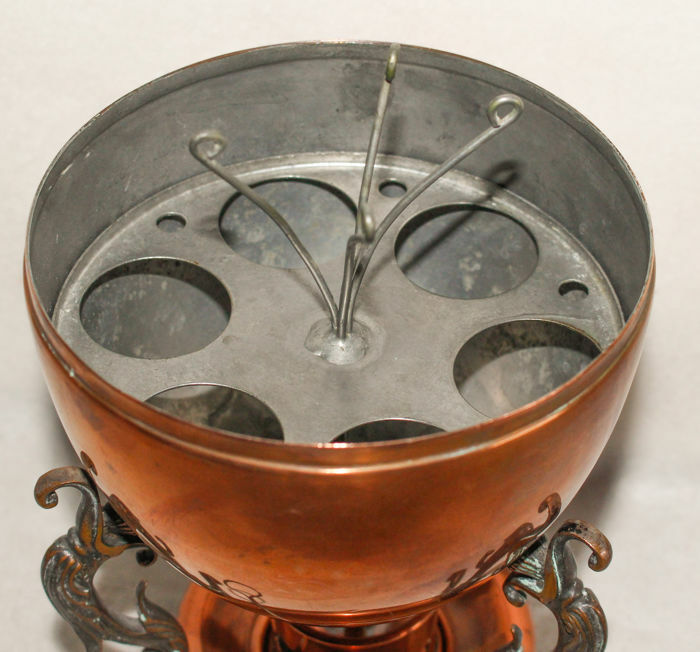 With internal area for 6 eggs. 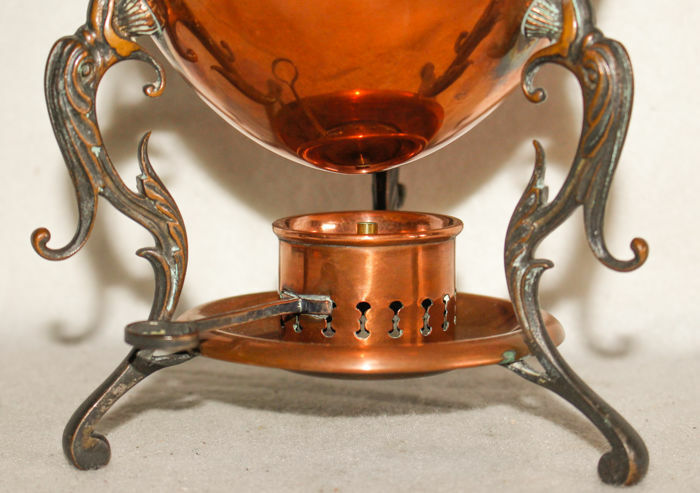 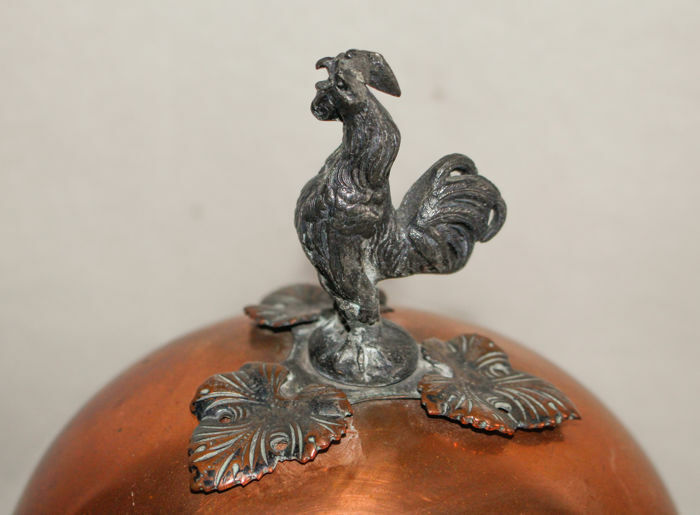 One puts water in the copper and the included burner boils the water and the eggs. 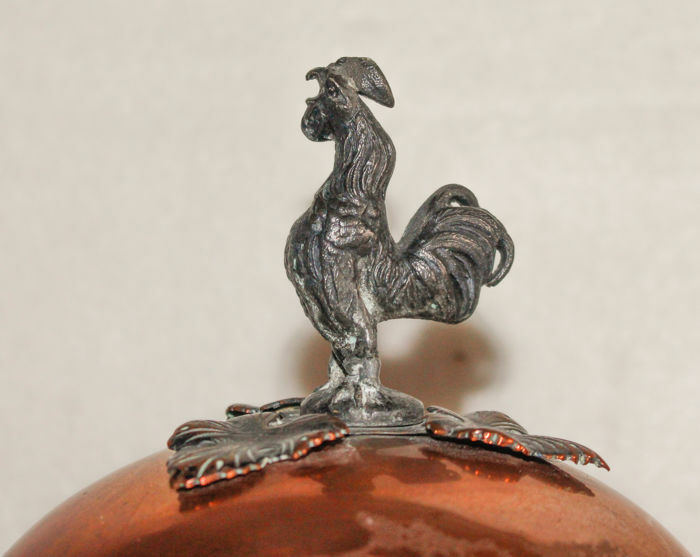 If your payment is received on time, your lot will be shipped on the Saturday after the auction.